Well, that was fast. Just couple of days back, a new gameplay video for Tomes of Mephistopheles (ToM) was revealed and now the game already available for pre-order. 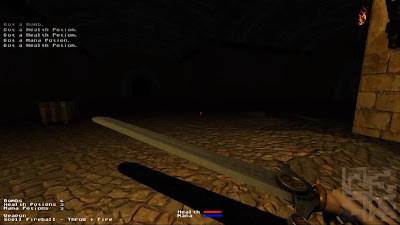 ToM is a 3D first person dungeon crawler for Linux based on Darkplaces game engine. The game will feature procedurally generated dungeons, spells, skills, deadly weapons, crafting etc. You can pre-order the game from here for $10. The game is currently in alpha version but you will get all subsequent updates and final release as well. Plus you will be supporting developers who support Linux community.